This article was originally published in Firat News. The two day “Northern Kurdistan Conference for Solution and Unity” in the main Kurdish city Amed has ended on Sunday. The conference was organized as a part of the four conferences Kurdish leader Abdullah Öcalan suggested should take place in the ongoing process in search of a peaceful and democratic solution to the Kurdish question. 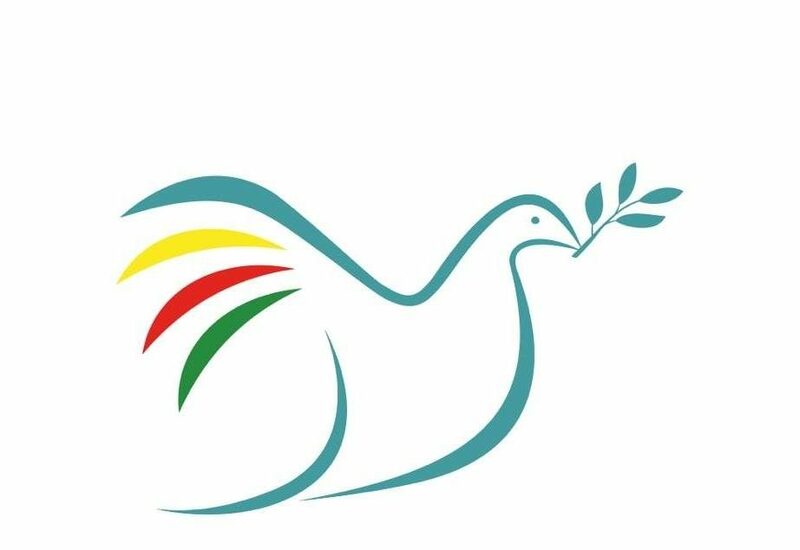 The final declaration of the conference called on the government to take more sincere steps for the solution of the Kurdish question and demanded Kurdish leader Abdullah Öcalan’s freedom to ensure a healthy progress in the solution process. Reading the Turkish side of the final declaration, which was released in Kurdish as well, DTK (Democratic Society Congress) co-chair Aysel Tuğluk underlined that “the conference which was attended by Kurdistani identities has been a significant step serving for a free future for Kurdistan”. 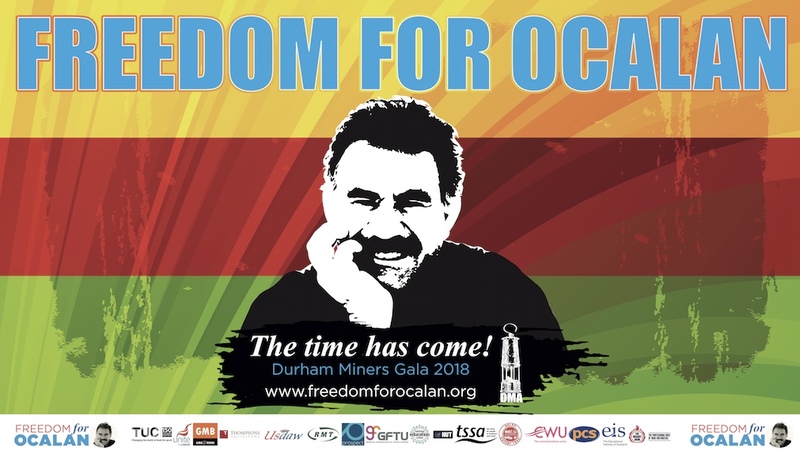 * Mr. Öcalan created a historic opportunity and taken concrete and sincere steps for a democratic and peaceful solution to the Kurdish question. Our conference has stated that the government must also take steps displaying the same sincerity and seriousness. Our delegation is concerned over the language the government is still using and the attitude it is displaying, the construction of new military posts in the Kurdish region and the increase in the employment of village guards. It calls for the ending of these practices which lead to the loss of public trust and questioning of the government’s sincerity towards the process. In this respect, our conference demands freedom for Abdullah Öcalan, the main actor of the democratic solution process, in order to ensure a healthy progress in the solution process. * Our conference decided that no lasting solution could be achieved for the Kurdish question unless Kurdistan gains a status. It was agreed that the people of Kurdistan have the right to national self-determination (such as autonomy-federation-independence) on the basis of their own decisions and choices. * Our delegation demands the formation of a contemporary and democratic constitution and constitutional guarantee for Kurds’ right of organization, for mother tongue education and for the recognition of Kurdish as official language. *Kurdistan is facing great social problems such as poverty, migration, unemployment and ecocide. Our conference puts emphasis on the importance of the establishment of a mechanism that shall include politics, NGOs, local administrations, and the transfer of public funding to Kurdistan on the basis of positive discrimination principle. Our conference expresses its trust in the youth in the establishment of Kurdistan’s future and attaches importance to their will. *Legal arrangements are required to enable the release of all political prisoners in jails, child and ill prisoners in particular. The Turkish state must fulfill its responsibilities to shed light on unsolved murders and mass graves. *Considering its evaluation of the gender paradox as one of the basic problems of 21st century, our conference points out that the situation of women, the most dynamic and the founding actor of the community, cannot be handled as distinguished from the society. Any kind of intervention against women is an intervention in the society. Our conference declares objection to all kinds of attacks targeting women. The Kurdish women’s role in the fight for Kurdistan serves as a model to the entire world. Our conference embraces women’s determination for equal participation in all stages of the social life on the basis of gender equality. 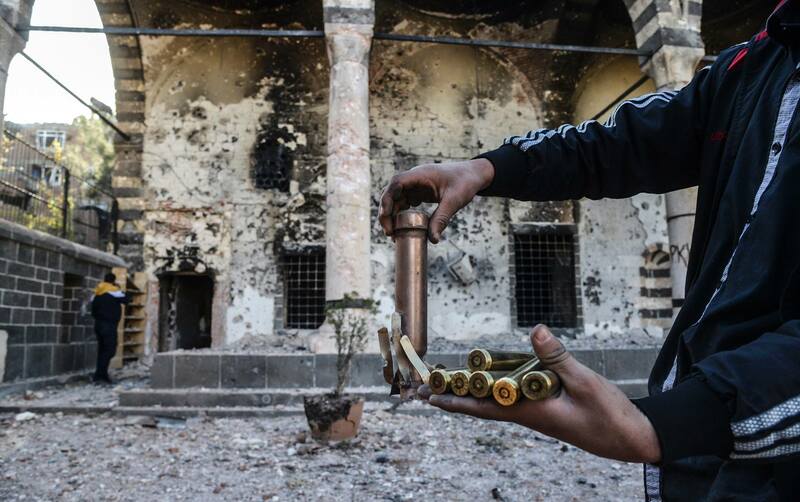 *The policies of the Turkish state and the false consciousness they raise lead up to significant problems for the peoples living in Kurdistan territory, such as Armenians, Assyrians, Arabs, Turkmenians, and belief groups such as Muslims, Christians, Jews, Ezidis and Alewis. We see it a must to face the past of these peoples and to build a new and equal life for them. Our conference will make great efforts to provide the conditions needed to enable identities to lead a free life basing on their beliefs. Northern Kurdistan Conference for Solution and Unity calls for the return of all circles that monist policies forced to leave their territory in the 20th century. *Our conference announces support to the popular revolution people in Rojava reformed on the basis of their own power and politics. It considers it significant that their unity and alliance should be ensured under the umbrella of Kurdish High Council. It indicates that each person in Kurdistan should protect the achievements accomplished in Rojava. It condemns the dictator regime and all attacks some gang groups affiliated to the Syrian opposition launch against Rojava. Our conference calls on Rojava to keep its door open and the people of Kurdistan to launch aid campaigns for Rojava. It urges the international community to demand that relevant Syrian mechanisms officially recognize the Rojava Kurdistan. *Our conference attaches vital importance to the gathering of the National Conference and announces that it will be doing its part in this respect. It calls on Iraqi President Jalal Talabani, Kurdistan Federal Region (KRG) President Massoud Barzani, KCK (Kurdish Communities Union) Executive Council Presidency and all other powers in Kurdistan to take steps for the gathering of the National Conference as soon as possible. * The conference delegation expresses respect and gratefulness to all individuals and structures that have provided contribution to the cause of Kurdistan. *Our conference calls on the United Nations, the European Union, İKÖ and all peoples in the world to display responsibility towards the struggle the people of Kurdistan give for justice, freedom and equality. Our conference urges all international organizations and states to delist the PKK (Kurdistan Workers’ Party) from terrorist organizations. *The conference delegation decided on the establishment of a “Unity and Solution Committee” to represent the will of the Northern Kurdistan Conference for Solution and Unity. In a way open to broader participation, the committee will be authorized to monitor all the decisions the conference makes, establish commissions in the event of need and to gather the Conference again at a later time. The committee will perform its works on the basis of its mission as the operative body of the democratic negotiation process. * Our conference calls on the peoples of Turkey to recognize the will presented at the conference and to urge the Turkish Republic to recognize the rights of Kurdish people. Our conference also supports the democratic and fair struggle of Turkey’s peoples.